New Michael Jackson album in November? Michael Jackson on stage in Spain in 1988. 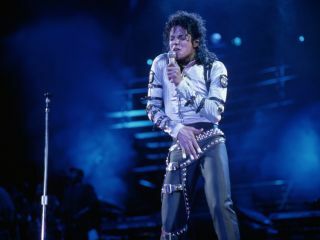 It's being reported that an album featuring 10 previously unreleased Michael Jackson songs will be released in November. Rolling Stone spoke to Jackson's manager Frank DiLeo who said that more than 100 completed but unheard songs are in the singer's archives. These include tracks recorded in the '80s and later collaborations with the likes of Akon, Will.i.am and Ne-Yo. It's not yet clear which of these songs will make it onto the album, which will be the first 'new' MJ collection to be released since his death. It was reported earlier this year that the Jackson family had signed a 10-project, seven-year deal with Sony Music that will cover new songs, reissues, greatest hits collections and DVDs.